Apart from the negative sides of that we know all too well, social networks also have a bright side. 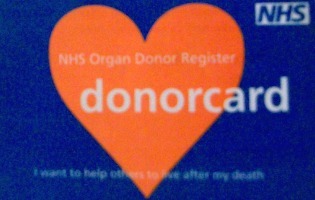 Facebook is currently demonstrating this, as well as a social conscious, by encouraging people to become organ donors. "The actual change on Facebook's part is small. Starting today, users in the UK and US can go to their timeline, click on "Life Event," select "Health and Wellness," and add the new option "choose Organ Donor" - said Zuckerberg last year. Apparently the initiative is going well and promoting the sensitivity of this delicate and important topic. The doubt is if over whether the campaign can have long time effects. What are your thoughts about this? Let us know in the comments below. Let the Cat Puns Commence! Hot dogs or Legs? Facebook mania for Summer 2013.